Final Fantasy XIII-2 (ファイナルファンタジーXIII-2, Fainaru Fantajī Sātīn Tsū) is a role-playing video game developed and published by Square Enix for the PlayStation 3 and Xbox 360. Released in 2011 in Japan and 2012 in North America and PAL regions, it is a direct sequel to the 2009 role-playing game Final Fantasy XIII and is part of the Fabula Nova Crystallis subseries. A port to Microsoft Windows was released on Steam in December 2014 followed by iOS and Android in September 2015. XIII-2 includes modified features from the previous game, including fast-paced combat and a customizable "Paradigm" system to control which abilities are used by the characters, and adds a new system that allows monsters to be captured and used in battle. It features a heavy time travel element, allowing the player to jump between different times at the same location or different places at the same time. Lightning, the protagonist of the original game, has disappeared into an unknown world. Her younger sister Serah Farron, a returning character, and a young man named Noel Kreiss, journey through time in an attempt to find Lightning. Development of Final Fantasy XIII-2 began around March and April 2010 and lasted about one and a half years. The game was unveiled at the Square Enix 1st Production Department Premier in January 2011. Many of the key designers remained in their roles from the previous game, and developer tri-Ace was hired to help with the game's design, art, and programming. The development team wanted to exceed Final Fantasy XIII in every aspect while making the story's tone mysterious and darker than the previous game. The game builds upon the Paradigm Shift battle system used in Final Fantasy XIII and includes a less linear overall design. Final Fantasy XIII-2 received highly positive reviews from Japanese critics and generally positive reviews from Western video game journalists. Though praised for its gameplay, lack of linearity, and graphics, the game's story was criticized as weak and confusing. During the first week of sales in Japan, the game sold 524,000 units, becoming the fifth-best selling game of 2011 in Japan, and sold 3.1 million copies worldwide by January 2013. It was released digitally for PlayStation 3 and Xbox 360 in June 2013 along with a Japan-only re-release including downloadable content. A sequel, Lightning Returns: Final Fantasy XIII, was released in November 2013 in Japan and February 2014 in North America, Europe and Australia. In September 2014, Square Enix announced the Final Fantasy XIII series has been widely successful and has shipped over 11 million copies worldwide. In November, 2018, the series was added to Xbox One backwards compatibility. The player directly controls the on-screen character through a third-person perspective to interact with people, objects, and enemies throughout the game, just as in Final Fantasy XIII. The player can also turn the camera around the characters, providing a 360° view. Final Fantasy XIII-2, which includes normal and easy modes, has a world rendered to scale relative to the characters; instead of a caricature of the character roaming around miniature terrain, as found in the earlier Final Fantasy games, every area is represented proportionally. The player navigates the world on foot or by chocobo, large flightless birds that appear regularly in the Final Fantasy series. The game world is divided into multiple regions and time periods; the player can visit a region in multiple time periods and multiple regions at the same time period. For example, the region of Oerba can be reached in the years 200 and 400 AF, while the Sunleth Waterscape and Augusta Tower regions can be visited in the year 300 AF. Some regions, because of plot points within the game, have alternate versions of themselves; for example, two versions of the Academia region in the same year can be accessed once the plot has made the second version available. Connecting these regions is the Historia Crux, which the player can access at will. The game's regions are represented as a branching path instead of being accessed linearly. New regions can be unlocked via plot points or by acquiring optional special items and the player may transfer between unlocked regions at any point. When accessing a previously visited region, the player appears in the location of their last visit. Upon acquiring items called seals, the player can revert regions to their previous statuses to play through them again; regions can be unsealed again at any time. Unlike in the predecessor, the game is automatically saved when players enter the Historia Crux, as well as at key moments in the plot. The player may also manually save at any time. Instead of accessing stores at save points like in XIII, the player can purchase items from a character named Chocolina, who is found throughout the game. An in-game data log provides a bestiary and incidental information about the world of Final Fantasy XIII-2. When talking to characters, the game sometimes begins the Live Trigger system, in which the player chooses their response from several options; these dialogue options are generally not repeatable. The game also occasionally features temporal rifts, in which the player must complete a puzzle to close the rift and continue the game. The Final Fantasy XIII-2 battle system, with the "Paradigm Shift" option, the Active Time Battle (ATB) bar filling beneath it with four slots and two actions queued, and the three active characters' health and roles displayed. The enemy's name and damage percentage are shown in the upper right corner. Combat is almost identical to the previous game's version of the series' Active Time Battle (ATB) system, called the Command Synergy Battle system. Under this system, the player selects an action from the menus, such as Attack, Abilities, or Item. Each action requires a specific number of slots on the ATB bar, which continually refills at a constant rate to a set maximum number of slots. The kinds of attack actions available are close-range melee attacks or ranged magical attacks, but there are also other magical actions that evoke healing or shielding abilities. The ATB bar can be increased in size throughout the game from three slots to six. The player may select less than the maximum number of possible actions or may stop the filling of the ATB bar and perform as many actions as can be done with the current ATB amount. The player may select an autobattle command, which fills the ATB slots with actions chosen automatically. Actions cannot be performed outside of combat, and the characters' health is fully restored after each fight. Players have the option of restarting a battle while in the middle of a fight. During some skirmishes, players are put through quick time events called Cinematic Actions that allows them to deal higher damage to foes and end certain battles. Monsters do not freely roam the map like in Final Fantasy XI to XIII, but instead, they randomly appear as in the earlier Final Fantasy games. For a limited time after monsters appear, the player may attack them to gain a combat bonus; after this window expires, the monsters attack the player to begin a regular battle, and if too much time passes before combat begins, the player cannot restart the fight during combat. When the battle begins, the screen transitions from the regular map to a separate battle screen as in XIII. Three characters are used in combat—the two main characters and a monster. Monsters must be captured from battles before they can be used, and there are around 150 different monster types available to be collected. Captured monsters act just like the main characters, but can also perform a "feral link" attack that increases the chance of capturing another monster. Either of the two main characters can be selected as the one that the player has direct control over at any point; the other character and the monster are then controlled by the game's artificial intelligence (AI). Each enemy has a meter, called a Chain Gauge, consisting of a percentage that increases from a base level of 100 when the enemy is struck by attacks or spells. Different attacks have different effects; some raise the chain by a larger amount while others give the player longer before the Chain Gauge resets to 100 percent. The amount of damage performed by an attack is multiplied by the chain percentage before it is applied to the enemy. When the chain counter reaches a preset amount, different for each enemy, the enemy becomes Staggered. In this mode, the enemy has lowered defense and is easily interrupted, and some may even be launched into the air, preventing them from attacking and stopping their ATB gauges from replenishing. The Paradigm system allows the player to program six different roles, which the characters can assume to perform certain formations in battle in response to specific conditions. The roles consist of Commando, which uses non-elemental attacks to stabilize the Chain Gauge; Ravager, which uses elemental attacks to fill the Chain Gauge; Medic, a White Mage-type role which can heal the party; Saboteur, which can weaken enemies; Synergist, which can strengthen allies; and Sentinel, which has protective abilities. The two main characters can initially assume three roles, but they can learn others at the player's choosing as the game progresses. The player can select which roles the controlled character and the AI characters use while outside or during battle, which is the only way that the player can control the AI characters during a fight. The player can only choose from specific sets of paradigms that the player has set up before the battle. Monsters only have one role; different ones are used when the player switches paradigms. The player selects up to three monsters they wish to use in paradigms outside of battle. Unlike in Final Fantasy XIII, the player cannot summon the Eidolons, as the giant creatures were only available to the protagonists of that game. The Crystarium is a leveling and growth system, making a return from Final Fantasy XIII in an altered form. The system consists of constellation-style representations of the character's weapons and tamed monsters, made up of small and large crystal nodes, which can be accessed from the start of the game. There is one Crystarium system available for each monster and Paradigm role. Crystogen points gained in battle can be used to expand the Crystarium, unlocking bonuses to health, magic, or strength, or provide the characters with new abilities and slots for battle accessories. For the monsters, the bonuses are unlocked with items dropped by defeated enemies. The story of Final Fantasy XIII-2 follows on from that of Final Fantasy XIII, but as is typical for the series, it is unrelated to all other previous Final Fantasy games. In XIII, one of the fal'Cie—a god-like race—transformed a team of six people, the primary characters of the game, into l'Cie (servants of the fal'Cie with magical powers and a 'Focus'—an assigned task to be completed within a time limit), in the hope that they would initiate the end of the world. The six were intended to cause the large, inhabited floating sphere named Cocoon to fall into the world below, named Gran Pulse, killing all of the humans of Cocoon. At the finale of the game, two of the l'Cie transformed into a crystal pillar to support Cocoon, preventing the catastrophe. XIII-2 begins three years after the end of XIII. Owing to the fall of Cocoon at the end of XIII and the collapse of its government (the Sanctum), at the start of XIII-2, most of Cocoon's inhabitants have moved down onto Gran Pulse, and some have learned magical abilities. Over the course of the game, a scientific body called the Academy becomes a new technocratic government. While the game starts off in the year 3 AF ('AF' being a new timescale set up after the fall of Cocoon), the story of XIII-2 jumps around several different time periods, and even parallel versions of different places, accessed via the Historia Crux. While most of the game takes place on Gran Pulse and inside Cocoon, there are two other major locations. One is the Void Beyond, a limbo between time periods. The other location is Valhalla, the capital of the goddess Etro. This place is a realm at the end of time where the goddess keeps a dark energy called Chaos from escaping and destroying the timeline. As opposed to the previous game, Lightning, the main character of XIII, only appears as a supporting character and the game's primary narrator. The two main playable characters are Serah Farron, Lightning's sister and the second narrator, and Noel Kreiss, a young man originally from the distant future. Other characters from the previous game who appear in important roles are Hope Estheim, who becomes leader of the Academy, and Snow Villiers, Serah's fiancé, who set off to find Lightning for Serah. The three other main characters from the previous game, Oerba Dia Vanille, Oerba Yun Fang and Sazh Katzroy, appear in cameo roles. Three new characters are introduced: Caius Ballad, the game's primary antagonist; Paddra Nsu-Yeul, a seeress possessing the all-seeing Eyes of Etro; and Alyssa Zaidelle, a young girl who works as an assistant to Hope. A minor supporting character is Mog, a Moogle sent with Noel by Lightning as Serah's "good luck charm". The game opens in 3 AF, as the Pulse town Serah lives in is attacked by monsters. A stranger named Noel appears to help fight the monsters and claims to be a time traveler from 700 AF. He arrived in her time via Valhalla, where he claims to have met Lightning as she guarded the throne of the weakened Etro. As part of Lightning's transfer to Valhalla, she was erased from the fall of Cocoon onwards (making everyone except Serah forget her being with them on Gran Pulse), and paradoxes have erupted throughout time, warping the timeline. Serah joins Noel in a journey to resolve these paradoxes by removing items and monsters, which are out of their original time and correct the timeline; she in hopes of finding her sister and he in hopes of changing the bleak future he comes from. While journeying to 5 AF to resolve a paradox on Cocoon, they meet and help Alyssa, an Academy member and survivor of the Purge, a massacre by the Sanctum at the beginning of Final Fantasy XIII. Traveling to the ruined city of Paddra in 10 AF, they find Hope, who has become the leader of the Academy, with Alyssa as his assistant. They also find a recording of prophecies made by one of the seeresses of Paddra, who are believed to have died out centuries prior: one fragmented prophecy shows Lightning in Valhalla. Paddra is shrouded by an eclipse, which Noel says is not supposed to happen for several centuries. While Serah and Noel resolve the paradox causing the eclipse, they encounter Caius Ballad, a man Noel knows from 700 AF who opposes their mission, and Yeul, who looks identical to a girl of the same name Noel knew in the future. After resolving the paradox, an alternative timeline appears in which there was never an eclipse. The repaired prophecy shows Caius in Valhalla fighting Lightning and the pillar supporting Cocoon collapsing. Noel claims that this takes place around 400 AF, devastating the human population as well as the world, creating a future where he is the last human in existence. Serah and Noel move on, while Hope and Alyssa work on finding a way to prevent the pillar's collapse. Moving on to 300 AF Cocoon, the pair find Snow fighting a giant paradox-fueled monster that is dissolving the crystal pillar. After resolving the paradox, which delays the fall of Cocoon until 500 AF, Snow disappears again as an anomaly from another time. The pair then go to the city of Academia on Gran Pulse in 400 AF where they are attacked by the city's AI, which claims they were killed in 200 AF. Traveling to 200 AF, they discover a paradox whereby a man-made fal'Cie meant to re-levitate Cocoon was able to turn on its creators using the AI that designed it and take over the government. Resolving the paradox, Noel and Serah travel to an alternative 400 AF Academia. In this world, the pair find Hope and Alyssa again, who had put themselves in stasis. They explain their new plan to mechanically float a new Cocoon to hold humanity, which Serah and Noel help with before heading to 500 AF Academia. They are betrayed by Alyssa (revealed to be a living paradox doomed to disappear in the corrected timeline) and trapped by Caius in dream-worlds. Before being trapped, Serah meets the spirit of Yeul, who explains that she is the seeress of Paddra, continually reincarnated throughout history, while Caius is her immortal guardian, gifted with Etro's own heart. Yeul explains that every time the timeline is changed, the resulting shock kills her; Caius has been driven mad by watching her die repeatedly and seeks to end the process by unleashing the Chaos trapped in Valhalla to destroy all time. Serah, it is revealed, has the same power, and risks death every time she changes the future. Resolving to go on, Serah breaks free of her dream-world and frees Noel from his, in which he is the last living human after his Yeul dies and Caius leaves for Valhalla. After briefly encountering Lightning, the pair fight Caius, first in 500 AF Academia and then in Valhalla. As they defeat him, he claims to have killed Lightning, then impales himself through the heart on Noel's blade, killing the weakened Etro. When the pair return to Academia in 500 AF, where Vanille and Fang have been rescued from the collapsing pillar and the new Cocoon, named "Bhunivelze", has risen, Serah dies in front of Noel and Hope from the shock of the future changing. Just then, a black cloud erupts from the sky as the Chaos that Etro was keeping trapped breaks free. Lightning is then shown in crystal stasis on the throne of Etro's temple. If the player completes all optional parts of the game, they are shown an additional scene in which Caius is on the throne, declaring that the goddess is gone for good, and that Yeul and he can begin a new life freed from their 'curses'. Development of Final Fantasy XIII-2 began around March and April 2010 and lasted about one and a half years. It was carried out by Square Enix's 1st Production Department, a collective name for the teams in charge of the Fabula Nova Crystallis Final Fantasy, Dissidia Final Fantasy and Kingdom Hearts series. Many of the key personnel from Final Fantasy XIII remained in their roles: Motomu Toriyama was director, Yoshinori Kitase producer, Tetsuya Nomura character designer and Isamu Kamikokuryo art director. The troubled development of Final Fantasy XIII that had been caused by the simultaneous creation of the company-wide engine Crystal Tools gave reason to rethink the production process for high-budget games at Square Enix. For Final Fantasy XIII-2, the team consulted the European subsidiary Eidos to more closely adapt a Western approach to game development. As a consequence, monthly schedules and project milestones were introduced to better monitor the staff members' progress. Furthermore, unlike its predecessor, Final Fantasy XIII-2 was not entirely developed in-house; Japanese studio tri-Ace was contracted to help out with aspects of the game design, art and programming. This was done to keep the number of internal staff members on the game lower. The contributions of external developers were planned and clearly divided beforehand to achieve a more structured team organization. Concept videos and frequent test playing during production helped constantly engage the staff and keep to the original vision of the game. Toriyama originally envisioned the plot not as a direct sequel to Final Fantasy XIII but instead as taking place 900 years after. However, while creating the backstory for the events in between both eras, it was decided to have the game revolve around time traveling. Toriyama expressed his wish to "create a story where [Lightning] ends up [truly] happy one day" as he considered her emotional state at the end of Final Fantasy XIII doubtful. He also wanted to "see [Serah] take an active part" because her crystal stasis over the course of the predecessor's story did not allow for such a role. Lead scenario writer Daisuke Watanabe thought about how the narrative could be continued in a sequel. Emi Nagashima, also known by her pen name Jun Eishima, had written novellas for Final Fantasy XIII and was consulted early on in development to help come up with the plot for Final Fantasy XIII-2. The narrative was divided into smaller "pieces of drama" similar to a television series rather than one overarching story piece. This was reflected by the game's working title Final Fantasy XIII: Season 2 when the project was first proposed within the company. Unlike Final Fantasy X-2, which had a more cheerful and humorous feel than Final Fantasy X, the staff members wanted the overall tone of Final Fantasy XIII-2 to be serious as well as darker and more mysterious than its predecessor. The original scenario had called for Serah to travel alone with Mog. However, Kitase felt that their dialogue was "quite girly, almost camp and a bit over the top" and resulted in a tonal shift that was too similar to the one from X to X-2. Noel was added to the story to counter this. Watanabe considered scriptwriting for the game's two-character party difficult. With the lack of varied personality traits provided by an ensemble cast, he had to ensure that conversations between Serah and Noel would not be repetitive or unrealistic. Unfamiliar concepts and terms in Final Fantasy XIII, such as "l'Cie" and "fal'Cie", were deemed too difficult to understand and hence avoided in the sequel. A story link to Final Fantasy Type-0 via the location Valhalla was planned but later discarded. Based on the much darker tone of Final Fantasy XIII-2 compared to its predecessor, Kamikokuryo decided on surrealism as the main theme for the graphics. The works of Salvador Dalí and Giorgio de Chirico were used as visual references and helped Kamikokuryo strike a balance between photorealism and fantasy-like surrealism. Unlike Final Fantasy XIII, the game had a much tighter schedule allowing for little pre-production. Kamikokuryo hence used photographs instead of self-drawn pictures to explain his setting ideas to the other staff members. For example, a photograph of ruined buildings in the Cuban capital Havana inspired the look of Valhalla. Character design duties were split up: Nomura designed the faces of the new and returning main characters while their clothing was done by other artists. Kamikokuryo drew the final version of Lightning based on a silhouette sketch and suggestions by Nomura. Yusuke Naora took charge of Serah's, Noel's and Caius' costumes, while Hideo Minaba worked on Yeul, Alyssa and the adult version of Hope in the same capacity. Mog was designed by Toshitaka Matsuda after he had received a request for a cute and mascot-like Moogle character. The music of Final Fantasy XIII-2 was composed by Masashi Hamauzu, Naoshi Mizuta, and Mitsuto Suzuki. Keiji Kawamori coordinated the three artists to ensure their styles meshed well. Hamauzu, who was the sole composer for the music of Final Fantasy XIII, wrote roughly a quarter of the game's tracks, as did Suzuki, while Mizuta wrote nearly half. 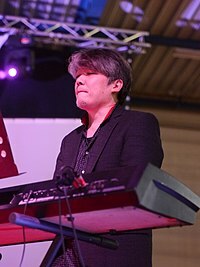 Prior to this game, Mizuta had worked on the music of Final Fantasy XI, and Suzuki had been a sound director for several Square Enix games and served as an arranger for XIII. The game's director, Motomu Toriyama, wanted the game's soundtrack to have more variety than that of the music in Final Fantasy XIII, as well as feature more styles. As a result, the game had three composers rather than just Hamauzu. Toriyama also wished for the music to have "a more edgy sound" and more vocal pieces, so that it would sound "unlike the typical Final Fantasy title". The music incorporates a wide variety of styles, from orchestral and electronic to rap, hip-hop, jazz funk, and metal. Since the release of the game, Square Enix has published the 2011 four-disc soundtrack album, Final Fantasy XIII-2 Original Soundtrack, as well as an album of arrangements and alternate versions of tracks from the game, Final Fantasy XIII Original Soundtrack PLUS, in 2012. The theme song for the game, "Yakusoku no Basho" (約束の場所, The Promised Place), was released by singer Mai Fukui as a single in 2011, and the English version of the song, sung by Charice Pempengco and included in the non-Japanese versions of the game, was included on her 2012 album Infinity. Reviews of the soundtrack album were positive, with critics praising both the variety of styles and quality of the pieces. Several critics noted Mizuta's work as possibly his finest to date. Reviewers were mixed in their opinions of the arranged album, feeling that several of the pieces were simply inferior versions of the original tracks. Both of the albums and the single sold well enough to place on the Japanese Oricon charts, with the original soundtrack album reaching a peak of #13 and remaining on the charts for eight weeks. Final Fantasy XIII-2 was first hinted at three months after the January 2010 release of Final Fantasy XIII. Kitase said in an interview "If we could do a XIII-2, we could direct all our attention to the story and refine what we have already built." Toriyama stated in the October 2010 Ultimania Omega companion book that he hoped to continue the story. Two months later, Nomura released a drawing of Lightning along with the words "She must not be forgotten". On January 11, 2011, Square Enix registered the domain name FinalFantasy13-2game.com via a proxy company that it had used to register websites for several other unannounced games. Final Fantasy XIII-2 was officially announced at the Square Enix 1st Production Department Premier in Tokyo on January 18, 2011. The teaser trailer showed Lightning, outfitted in armor, drawing her weapon and engaging Caius, who was not yet named. To promote the game's release in Japan, Japanese singer Yuko Oshima was appointed the leader of a group of thirteen official test players. The game features downloadable content (DLC) in the form of downloadable outfits, weapons, accessories, scenarios, recruitable monsters and minigames. Although there had been initial plans to release DLC for Final Fantasy XIII, these ideas did not come to fruition. For Final Fantasy XIII-2, the team designed and planned for content, including DLC, that would expand on the game since the beginning of its development. Players who own Final Fantasy XIII save data can unlock an additional wallpaper (PS3) or gamer picture (Xbox 360) for the save file. DLC released after the game contained additional weapons, costumes, and monsters. Post-release downloads also included "Final Fantasy XIII Lost Report", which offers a look back at Final Fantasy XIII's story through the perspective of non-playable characters from the game, and three downloadable scenarios for other characters: "Perpetual Battlefield", which reveals Snow's fate; "Heads or Tails", which shows how Sazh came to 500 AF Academia; and "Requiem of the Goddess", which shows Lightning's struggle against Caius and explains how she became crystallized in the main story's ending. During its first week of release in Japan, Final Fantasy XIII-2 sold 524,000 copies, and the PlayStation 3 version was the highest-selling game for the system. The Xbox 360 version only reached 48th. Although high, initial sales were notably lower than what they were for the game's predecessor, which sold 1.5 million units in its first week. By the end of the year, the game had sold over 697,000 units, and was the fifth-best selling game of 2011 in Japan. It was just below four handheld video games, making it the highest-selling home console game in Japan that year. It finished 2012 with over 840,000 copies sold in Japan. In the United States, the game placed as the second-best selling game of February 2012, just below Call of Duty: Modern Warfare 3. In the United Kingdom, Final Fantasy XIII-2 was the best-selling game of February 2012. By January 2013, Final Fantasy XIII-2 had sold 3.1 million copies worldwide, almost half of the 7 million copies its predecessor sold. It would ship an additional 200,000 to 400,000 copies according to Square Enix press releases. Its Steam release sold over 330,000 copies by early 2016. To October 15, 2017 has sold a total of 3.7 million copies. Final Fantasy XIII-2 received very favorable reviews by Japanese reviewers, getting perfect scores from the Japanese magazines Famitsu and Dengeki PlayStation. Famitsu editor Ranbu Yoshida said that "it feels like a very different game from its predecessor" and that "it's easy to lose yourself in changing and redoing areas you've previously finished." Assistant editor Norihiro Fujiwara added that "the setting and presentation is fantastic, and the issues people brought up with the first game—its linearity, its lack of meaty gameplay—are a thing of the past. You're sucked into the game right from the beginning, and the story's very easy to get into." The game won the "Future Division" award at the 2011 Japan Game Awards and later won an "Award of Excellence" at the 2012 Japan Game Awards. Outside Japan, the game received mostly positive reviews, which primarily focused on the changes in the game from its predecessor. Reviewers generally praised the graphics. The Edge review described the environments as "entirely captivating" and said that the "visual and audio design is marvellous", and Kevin VanOrd of GameSpot praised the graphics as beautiful and visually diverse. Jeremy Parish of 1UP.com disagreed, however, saying that the art "represents a step back from the splendor of Final Fantasy XIII". The music received mixed reviews; Parish said that the music was great, applauding the unique styles, but Simon Parkin of Eurogamer felt that the music "suffers from a lack of coherent direction", and tracks often failed to match their scenes. Dale North of Destructoid felt that the soundtrack was "wonderfully varied and lots of fun" and predicted that "traditionalist" fans of Final Fantasy music would not like it as much because of the varied new styles. The gameplay was generally praised as well, with many reviewers noting the improvements in areas they saw as problems in the previous game. Parkin praised the game's "smart, engaging mechanics" and the "novel structure" of the gameplay. Joe Juba of Game Informer said that the changes to Final Fantasy XIII's battle system made it his favorite Final Fantasy battle system, and that the gameplay was "phenomenal". Ryan Clements of IGN felt that the gameplay was an improvement over XIII's, fixing many of its problems. Parish stated that XIII-2 was an inversion of XIII in that the gameplay took precedence over the story. He described the battle system as "a joy" and said that the game was "never not fun". VanOrd agreed that the combat was fun, though he found it to be too easy. The Edge review, which was harsher on the game than most others, also found it to be too easy, which combined with what they saw as poor subquests and a lack of effort put in some regions made the gameplay uninteresting. The story of the game received poor to mixed reviews. Parish felt that it was confusing and inessential to the game, while Juba said that it was "a disaster" which "screws up at almost every turn", overshadowing the game's good points. Parkin felt that the characters were weak and the story was not engaging, and Clements said that the story was insubstantial, which he found particularly disappointing as most Final Fantasy games focused heavily on their story. VanOrd was less negative towards the characters and story than most others, but still described the characters as good, but not great. He felt the game focused too much on the less interesting characters of Noel and Serah over Lightning and Caius, and said that the story was "semi-coherent" and missed several emotional notes, particularly in the first half of the game. Hints and rumors began circulating about a sequel to Final Fantasy XIII-2 as early as December 2011, when Square Enix registered the Final Fantasy XIII-3 web domain. At the time, the company stated that it was simply a precaution and did not mean there was such a game. After the game was released with a "To be continued" ending, Square Enix said that the ending was chosen to prompt players to explore the alternative endings and remain ready for the coming DLC levels. However, after the release of what was stated to be the final piece of DLC, officials at Square Enix announced that they would be releasing future Final Fantasy XIII-related content. In late August 2012, a teaser site was unveiled in preparation for the Final Fantasy 25th Anniversary Event, titled "A Storm Gathers", promising a "new direction for the saga of key character Lightning". At the event, it was announced that the title for this game would be Lightning Returns: Final Fantasy XIII, that it would be released in 2013, and that it would serve as the ending to the story of the main Final Fantasy XIII character, Lightning. ^ Director Motomu Toriyama's full quote: "For details on that, we’ll have to wait until TGS, but one thing I can tell you is that for the first time in the Final Fantasy series, XIII-2 will have multiple endings." This statement does not take Final Fantasy X-2 into account, which has multiple endings depending on player progress through the game. ^ Ivan, Tom (November 11, 2014). "Final Fantasy XIII-2 Steam release date confirmed". Computer and Video Games. Archived from the original on November 11, 2014. Retrieved November 11, 2014. ^ "FINAL FANTASY XIII SERIES ANNOUNCED FOR WINDOWS PC". Square Enix. September 18, 2014. Archived from the original on February 9, 2015. ^ a b c d e Square Enix, ed. (2012). Final Fantasy XIII-2 North American instruction manual. Square Enix. pp. 6–21. ^ a b c d e Square Enix, ed. (2012). Final Fantasy XIII-2 North American instruction manual. Square Enix. pp. 22–40. ^ a b c "Yoshinori Kitase on Final Fantasy XIII-2". Edge. December 19, 2011. Archived from the original on February 3, 2012. Retrieved November 20, 2012. ^ a b c d e VanOrd, Kevin (January 28, 2012). "Final Fantasy XIII-2 Review". GameSpot. Archived from the original on May 25, 2012. Retrieved February 10, 2013. ^ a b c d Juba, Joe (January 28, 2012). "Final Fantasy XIII-2: Fixing The Little Problems While The Big Ones Get Worse". Game Informer. Archived from the original on July 7, 2012. Retrieved February 10, 2013. ^ a b Square Enix, ed. (2012). The Complete Official Guide to Final Fantasy XIII-2. Piggyback Interactive. pp. 214–216. ISBN 978-1-908172-11-2. ^ Vestal, Andrew. "The History of Final Fantasy". GameSpot. Archived from the original on July 9, 2006. Retrieved August 4, 2011. ^ Square Enix (January 31, 2012). Final Fantasy XIII-2. PlayStation 3, Xbox 360. Square Enix. Fragment – Pulse's Resolution: When the people of Cocoon first came down to the surface of Gran Pulse, magic filled the earth. Among the people, there were those who awakened to this power. [...] Now normal humans can spin enchantments and spells—if they know how. ^ Square Enix (January 31, 2012). Final Fantasy XIII-2. PlayStation 3, Xbox 360. Square Enix. Datalog – Historia Crux: The Historia Crux is the crossroads between the Time Gates. It is a separate dimension connecting one age to the next. ^ Square Enix (January 31, 2012). Final Fantasy XIII-2. PlayStation 3, Xbox 360. Square Enix. Datalog – Etro's Gate: The instant Etro's Gate opened, a world-devouring darkness slipped through from Valhalla. The goddess turned back the river of time and that terrible darkness – the Unseen chaos – was sealed away. [...] If the goddess is destroyed, the chaos of the Unseen Realm would be unleashed, and the mortal realm devoured by Valhalla. ^ Square Enix (January 31, 2012). Final Fantasy XIII-2. PlayStation 3, Xbox 360. Square Enix. Datalog – Eyes of Etro: The 'Eyes of Etro' is another name given to Yeul's power to see changes in the timeline. [...] Every time a seeress has a vision, a part of her life force is drained away. ^ Square Enix (January 31, 2012). Final Fantasy XIII-2. PlayStation 3, Xbox 360. Square Enix. Datalog – Mog: Mog is a small, mysterious creature covered in white fur. [...] Lightning came across Mog in Valhalla, and asked the strange little being to act as Serah's protector and good luck charm. ^ Square Enix (January 31, 2012). Final Fantasy XIII-2. PlayStation 3, Xbox 360. Square Enix. Serah:Was that my sister? / Hope: Yes, I think so. We need to conduct further analysis to be certain. ^ Square Enix (January 31, 2012). Final Fantasy XIII-2. PlayStation 3, Xbox 360. Square Enix. Alyssa: I'm sorry, but in the new future that you wish to build, I no longer exist. ^ Square Enix (January 31, 2012). Final Fantasy XIII-2. PlayStation 3, Xbox 360. Square Enix. Datalog – The Heart of Chaos: The Heart of Chaos is the goddess Etro's own heart, given to Caius. [...] Only if another potential Guardian defeats him and takes this power can Caius truly be killed. If the new Guardian has enough strength of will, he can release the Heart's power and put an end to immortal destiny. ^ Square Enix (January 31, 2012). Final Fantasy XIII-2. PlayStation 3, Xbox 360. Square Enix. Caius: With each distortion of the future, the life of the seeress was cut short [...] So I will dam the river of time and tear down the foundations of history. Only then will Yeul's suffering come to an end. ^ Square Enix (January 31, 2012). Final Fantasy XIII-2. PlayStation 3, Xbox 360. Square Enix. Noel: Yeul died when she was only fifteen. Seeing the timeline exacts a terrible tole on the body. And Serah...you can see the timeline too. / Serah: You mean...I'm about to die? / Noel: You're okay right now. [...] The more we change the future, the more history changes. And the more you see, the sooner the visions will destroy you. ^ Square Enix (January 31, 2012). Final Fantasy XIII-2. PlayStation 3, Xbox 360. Square Enix. Caius: The Heart of Chaos beats in my chest, a manifestation of Etro. Should this heart stop beating, the goddess will die once again. ^ Square Enix (January 31, 2012). Final Fantasy XIII-2. PlayStation 3, Xbox 360. Square Enix. Hope: But why? You were safe, everything was fine. / Noel The future changed. [...] The seeress is forced to see it all. / Hope: You mean Serah...she saw this vision? / Noel: Yes. And it killed her. ^ Square Enix (January 31, 2012). Final Fantasy XIII-2. PlayStation 3, Xbox 360. Square Enix. Caius: They have seen all of history, all of its possibilities. They have seen all the endings, but they must know the Goddess Etro is already dead. Her end is final: no man, woman or god can bring her back now. [...] Yeul, let us begin. We are freed from our eternal curse. Embrace the new world. ^ "『FFXIII-2』先行体験会＆ファンミーティング開催――新情報も判明！" (in Japanese). Famitsu. September 11, 2011. Retrieved December 7, 2013. ^ a b "「Final Fantasy XIII-2」が2011年発売予定，「Agito」は「Final Fantasy 零式」と名称変更して2011年夏発売。「Square Enix 1st Production Department Premiere」をTwitterで実況". 4Gamer.net. January 18, 2011. Archived from the original on January 19, 2011. Retrieved January 19, 2011. ^ "Square Enix Announces "Word To Your Moogle" Tour for Final Fantasy XIII-2". Square Enix. July 19, 2011. Archived from the original on January 16, 2012. Retrieved February 15, 2014. ^ a b c "『FFXIII』から『FFXIII-2』へと進化したゲーム制作手法とアジア地域での『FF』シリーズの展開【GDC台北】" [Expansion in the Asian region and game production techniques that have evolved to "FFXIII-2" from "FFXIII" and "FF" series [GDC]]. Famitsu. June 28, 2012. Archived from the original on June 25, 2013. Retrieved December 28, 2013. ^ "Tri-Ace Helped Out With Final Fantasy XIII-2". Siliconera. December 18, 2011. Archived from the original on March 14, 2013. Retrieved February 10, 2013. ^ "Siliconera's Final Fantasy XIII-2 Interview With Toriyama And Kitase". Siliconera. June 17, 2011. Retrieved February 15, 2014. ^ a b c McNeice, Kiera (June 24, 2011). "Final Fantasy XIII-2 Tidbits From Japan". IGN. Retrieved January 18, 2014. ^ a b Cullen, Johnny (June 9, 2011). "FFXIII-2: Multiple endings confirmed, inspired by RDR, HD towns "too boring"". VG247. Archived from the original on May 9, 2013. Retrieved June 13, 2014. ^ a b c Final Fantasy XIII-2 Ultimania Omega (in Japanese). Tokyo: Studio Bentstuff. June 21, 2012. pp. 08–09. ISBN 9784757536197. ^ a b Final Fantasy XIII Ultimania Omega (in Japanese). Tokyo: Studio Bentstuff. October 4, 2010. pp. 508–511. ISBN 4-7575-2958-9. ^ Nagashima, Emi (December 15, 2011). "発売日です". Retrieved February 15, 2014. ^ a b Alexander, Jem (December 19, 2011). "This Final Fantasy XIII-2 mini-interview focuses on story". Square Enix. Archived from the original on March 14, 2013. Retrieved November 20, 2012. ^ a b Gantayat, Anoop (January 26, 2011). "Toriyama and Kitase Discuss Final Fantasy XIII-2". Andriasang. Archived from the original on August 16, 2011. Retrieved February 15, 2011. ^ Lees, Matt. "Final Fantasy XIII-2: remaking FF7, Kinect RPGs and killing the "girly" feel". Official Xbox Magazine. Archived from the original on November 8, 2012. Retrieved November 20, 2012. ^ Parish, Jeremy (February 2, 2012). "OP-ED: Does Final Fantasy XIII-2 Represent the End of Square, or a New Beginning?". 1UP.com. Archived from the original on September 13, 2016. Retrieved February 15, 2014. ^ "FFXIII-2 Interview". Final Fantasy Brasil. March 10, 2012. Archived from the original on February 2, 2014. Retrieved January 18, 2014. 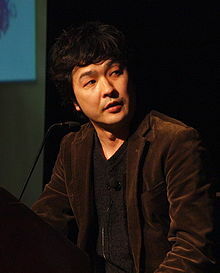 ^ a b "Final Fantasy XIII-2 Special Interview: Art Director Mr. Isamu Kamikokuryo". Microsoft. December 22, 2011. Archived from the original on February 2, 2014. Retrieved January 18, 2014. ^ a b c Gantayat, Anoop (February 1, 2011). "Hey Mr. Tetsuya Nomura, Whatchu Up To?". Andriasang. Archived from the original on August 15, 2011. Retrieved March 22, 2011. ^ Gantayat, Anoop (September 21, 2011). "Final Fantasy XIII-2: Time Paradoxes, Serah's Background Story, Blood Damage, and Chaos". Andriasang. Archived from the original on September 25, 2011. Retrieved February 15, 2014. ^ a b Gantayat, Anoop (August 24, 2011). "Final Fantasy XIII-2's Serah, Noel and Moogle Detailed by Character Designers". Andriasang. Archived from the original on October 1, 2012. Retrieved August 24, 2011. ^ Minaba, Hideo (February 6, 2012). "News". Designation. Archived from the original on January 4, 2014. Retrieved February 16, 2014. ^ a b c Napolitano, Jayson (January 27, 2012). "Exclusive: Meet Final Fantasy XIII-2's sound team". Destructoid. Archived from the original on March 14, 2013. Retrieved February 4, 2013. ^ a b Napolitano, Jayson (December 23, 2011). "Final Fantasy XIII-2 Original Soundtrack: A Palace of Pleasure (Review)". Original Sound Version. Archived from the original on March 20, 2012. Retrieved February 4, 2013. ^ a b c Gann, Patrick (December 18, 2011). "Final Fantasy XIII-2 OST". RPGFan. Archived from the original on January 16, 2013. Retrieved February 4, 2013. ^ a b Gann, Patrick (July 4, 2012). "Final Fantasy XIII-2 OST Plus". RPGFan. Archived from the original on July 11, 2012. Retrieved February 4, 2013. ^ Fukui, Mai. "Discography" (in Japanese). Avex Marketing. Archived from the original on August 16, 2012. Retrieved February 4, 2013. ^ Kotowski, Don. "Final Fantasy XIII-2 Original Soundtrack Plus :: Review by Don". Square Enix Music Online. Archived from the original on February 6, 2013. Retrieved February 4, 2013. ^ "Final Fantasy XIII-2 Original Soundtrack" (in Japanese). Oricon. Archived from the original on February 6, 2013. Retrieved February 4, 2013. ^ Ashcraft, Brian (March 15, 2010). "Direct Sequel For Final Fantasy XIII?". Kotaku. Archived from the original on October 31, 2012. Retrieved January 13, 2011. ^ Gantayat, Anoop (December 15, 2010). "Final Fantasy XIII's Lightning Must Not Be Forgotten!". Andriasang. Archived from the original on December 17, 2010. Retrieved January 13, 2011. ^ Ashcraft, Brian (January 13, 2010). "Mysterious URL Hints At More Final Fantasy XIII". Kotaku. Archived from the original on November 8, 2013. Retrieved January 13, 2011. ^ "Final Fantasy XIII-2 Judge 13". Square Enix. Archived from the original on November 1, 2011. Retrieved November 29, 2011. ^ "Final Fantasy XIII-2 Q&A: A Time Traveling Sequel to Surpass the Original". Sony. December 16, 2011. Archived from the original on March 14, 2013. Retrieved August 17, 2012. ^ "After 30 hours of FFXIII-2 What's Next?". Siliconera. November 21, 2011. Archived from the original on March 14, 2013. Retrieved February 10, 2013. ^ "Gilgamesh Breaks The Fourth Wall". Siliconera. April 10, 2012. Archived from the original on March 14, 2013. Retrieved February 10, 2013. ^ Luke Reilly. "Final DLC for Final Fantasy XIII-2 Announced". IGN. Archived from the original on March 14, 2013. Retrieved February 11, 2013. ^ James Orry. "Final Fantasy XIII-2 Sazh DLC episode now available". Videogamer.com. Archived from the original on March 14, 2013. Retrieved February 11, 2013. ^ "『ファイナルファンタジーXIII-2』DLCコロシアムバトル第3弾"ジル・ナバート中佐"が配信決定" ["Lieutenant Colonel Jill Nabato" 3rd "Final Fantasy XIII-2" DLC Colosseum Battle Delivery Decision] (in Japanese). Famitsu. March 8, 2012. Archived from the original on March 14, 2013. Retrieved August 17, 2012. ^ Gantayat, Anoop (December 22, 2011). "Final Fantasy XIII-2 PS3 Sold 60% of Stock". Andriasang. Archived from the original on June 26, 2012. Retrieved December 22, 2011. ^ 2011年国内ゲーム市場規模は約4543.8億円に――エンターブレインが発表 [Enterbrain has announced domestic game market in 2011 to be about 454.38 billion yen] (in Japanese). Famitsu. January 5, 2012. Archived from the original on January 29, 2013. Retrieved February 10, 2013. ^ "2010 Top 100 Console Software in Japan". The Magic Box. Archived from the original on February 4, 2015. Retrieved February 4, 2015. ^ Hillier, Brenna (March 9, 2012). "NPD February: Sales down 20%, hardware recovering". VG247. Archived from the original on May 11, 2012. Retrieved March 13, 2013. ^ Dring, Christopher (March 8, 2012). "Final Fantasy XIII-2 on top in dreary February". MCV. Archived from the original on April 14, 2012. Retrieved March 15, 2012. ^ Prell, Sophie (January 18, 2013). "Lightning Returns: Final Fantasy XIII's creators justify a third game in a series with falling sales". The Penny Arcade Report. Archived from the original on January 20, 2013. Retrieved January 18, 2013. ^ "Final Fantasy XIII-2 on Steam". Steam Spy. Archived from the original on September 12, 2015. Retrieved September 12, 2015. ^ "Final Fantasy XIII-2 (Xbox 360)". Metacritic. Archived from the original on November 14, 2012. Retrieved February 10, 2012. ^ "Final Fantasy XIII-2 (PlayStation 3)". Metacritic. Archived from the original on September 25, 2012. Retrieved February 10, 2012. ^ "Final Fantasy XIII-2 (PC)". Metacritic. Retrieved February 1, 2015. ^ a b c d e Parish, Jeremy (January 28, 2012). "Final Fantasy XIII-2 Review: A Series in the Throes of Awkward Adolescence". 1UP.com. Archived from the original on March 14, 2013. Retrieved February 10, 2013. ^ a b North, Dale (January 28, 2012). "Review: Final Fantasy XIII-2". Destructoid. Archived from the original on January 21, 2013. Retrieved February 5, 2013. ^ a b c "Final Fantasy XIII-2 review". Edge. January 30, 2012. Archived from the original on March 14, 2013. Retrieved February 10, 2013. ^ a b c d Parkin, Simon (January 28, 2012). "Final Fantasy 13-2 Review". Eurogamer. Archived from the original on March 14, 2013. Retrieved February 10, 2013. ^ a b Gifford, Kevin (December 7, 2011). "Japan review check Final Fantasy XIII-2". 1UP.com. Archived from the original on March 14, 2013. Retrieved December 7, 2011. ^ Gudmundson, Carolyn (January 30, 2012). "Lightning Returns: Final Fantasy 13 - PlayStation 3". GamesRadar. Archived from the original on May 7, 2012. Retrieved March 18, 2014. ^ a b c Clements, Ryan (January 27, 2012). "Final Fantasy 13-2 Review". IGN. Archived from the original on August 31, 2012. Retrieved February 10, 2013. ^ Gantayat, Anoop (December 6, 2011). "Team Final Fantasy XIII-2 Shares Some Final Words with Dengeki PlayStation". Andriasang. Archived from the original on March 15, 2012. Retrieved December 22, 2011. ^ "Award-Winning". Square Enix. 2012. ^ Jackson, Mike (December 4, 2011). "News: Final Fantasy XIII-3 domain is 'just in case'". Computer and Video Games. Archived from the original on December 7, 2011. Retrieved August 30, 2012. ^ Yin, Wesley (February 6, 2012). "Final Fantasy 13-2 "to be continued" ending explained". Eurogamer. Archived from the original on March 14, 2013. Retrieved August 30, 2012. ^ Honea, Keri (July 5, 2012). "Square Enix Teases Final Fantasy XIII-3 And Announces Final Fantasy X HD Delay". Game Revolution. Archived from the original on March 14, 2013. Retrieved August 30, 2012. ^ "A Storm Gathers". Square Enix. Archived from the original on December 21, 2012. Retrieved August 30, 2012. ^ "ライトニングシリーズ最終章『ライトニング リターンズ ファイナルファンタジーXIII』が2013年に発売決定！【FF展リポート】" ["Final Fantasy XIII Lightning Returns" Lightning series final chapter will be released in 2013! (FF Exhibition Report)] (in Japanese). Famitsu. September 1, 2012. Archived from the original on March 1, 2013. Retrieved February 10, 2013.